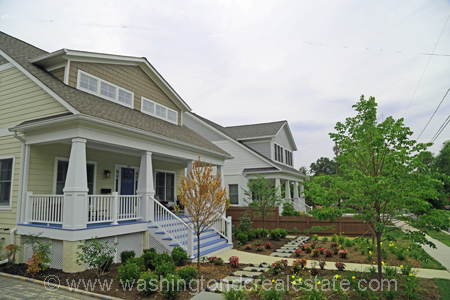 Penrose is a historic neighborhood in Arlington, Virginia, located just three miles from the District, that is experiencing rapid growth. The ongoing revitalization of Columbia Pike along the southern border of the Penrose community as well as its close proximity to the urban amenities in Clarendon has sparked renewed interest in the area. Penrose boasts a diverse population and one of the more affordable mixes of housing stock in Arlington. Properties range from condos, townhouses, and single family homes that are constantly being upgraded and expanded. The Penrose name derives from a stop along the early 20th century trolley that once bisected the area. Today the trolley is a neighborhood symbol – especially relevant as Arlington County makes plans for developing a new street car line along Columbia Pike.